The democratic process is one of the foundations of our society, and people around the world turn to Google to ask important questions about election candidates and their positions on various topics. We’ve built products and programs to help journalists and voters engage with democratic processes in several elections, including the U.S., Germany, U.K., and others. Last month, Google partnered with BandTV to host the first presidential debate for this year's upcoming elections in Brazil. Both companies worked together to use data on search interest to help inform the electorate on trends for presidential candidates, themes and surface regional differences. 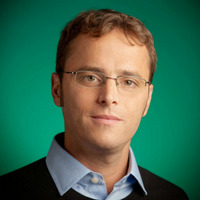 The partnership was part of the Google News Initiative, Google's effort to help journalism thrive in the digital age. 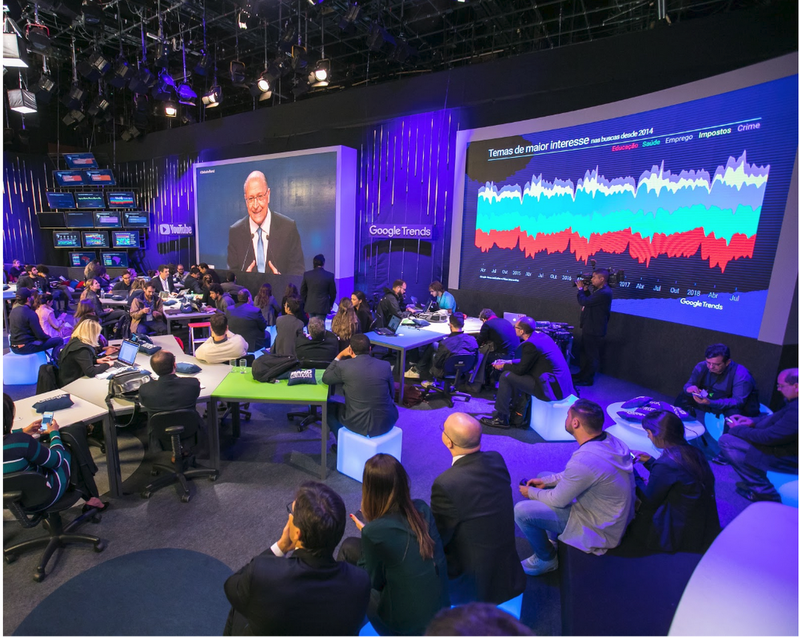 Multiple teams from the company worked on dozens of data visualizations to show trends arising from the debate and provided real time analyses, helping to broadcast insights during the debate and in-between the debate blocks. The Google Data Studio team participated in this important event, creating a dashboard that could be viewed publicly, with information about each candidate, topics of interest, and region trends. The dashboard could be accessed through the elections debate hub, along with other visualizations based on Google Trends data. Our goal with the dashboard was to allow journalists to interact with the data to find interesting trends for specific candidates and themes throughout 2018. But we also wanted to give context into how the debate was altering the trends. With the goals above in view, the Data Studio team built a report with three sections: last 24 hours, region-by-region trends, and 2018 interest by candidate. The data was pulled from Google Trends in real time into Google Sheets, and from there it was imported into Data Studio. Below we can see a picture from the Digital Room, where more than 150 journalists could view and interact with various data visualizations. The event became the largest livestream ever on YouTube in Brazil with 381,000 concurrent views / peak, reaching the #1 on the Trending Tab in Brazil for more than 36 hours. By making data more accessible through Google Data Studio, we hope we’ve helped journalists and voters engage with the democratic process in Brazil. Published by Daniel Waisberg (Analytics Advocate), Marco Tulio Pires (News Lab Lead, Brazil), and Keila Guimarães (Data Editor).